The oldest building on Andrews Air Force Base was built in 1854. It is the little church on the east side of the base that is now known as Historic Chapel Two. During the Civil War, Union soldiers used it as a headquarters' command post. It had its own congregation for 89 years, until the federal government purchased the cemetery and church in 1943. At that time, the Forest Grove Methodist Church and grounds were appraised for a total of $17,000, including $3,000 for the land, $1,500 for the parsonage and $12,500 for the building. The church was renamed Andrews Army Air Field Chapel in 1947 and renamed "Chapel Two" in 1957 after Chapel One was built on the west side of the base. A fire gutted the interior on 28 November 1985, but after $300,000 of restoration, it was rededicated on 31 June 1988, and the base community still uses it for worship services. This part of Maryland was mainly tobacco farms. In the early years of the 20th century, it was often discussed as having the potential to become an airfield, but no action was taken until August 1942, when President Franklin D. Roosevelt ordered the Secretary of War to acquire 5,000 acres of land in Prince George's County for a military airfield. Construction began later that year. On 19 April 1943, the first permanent unit, the 463rd Base Headquarters and Air Base Squadron, arrived from Westover Field, Massachusetts, with 105 enlisted men and five officers. 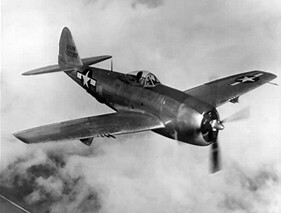 Camp Springs Army Air Field became operational on 2 May 1943, when the first Republic P-47 Thunderbolt arrived; 75 other P-47s arrived during the first month. The field's early mission was to train fighter pilots for overseas combat duty. Camp Springs Army Air Field was renamed Andrews Army Air Field on 31 March 1945 in honor of Lieutenant General Frank Maxwell Andrews. 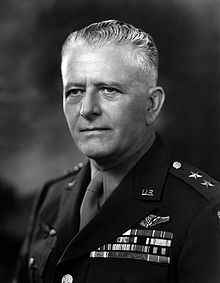 By quietly working within the Army Air Corps, General Andrews succeeded in advancing progress toward a separate Air Force where predecessors and allies such as Billy Mitchell had failed. He was the first head of a centralized American air force and the first air officer to serve on the Army's general staff. In early 1943, he took the place of General Eisenhower as commander of all U.S. troops in the European Theater of Operations. He was killed on 13 May 1943 in Iceland along with 13 other men in a B-24 that crashed while attempting to land in bad weather. At that time, he was the highest ranking U.S. officer to die in the line of duty during World War II, the first of three lieutenant generals who died during the war. 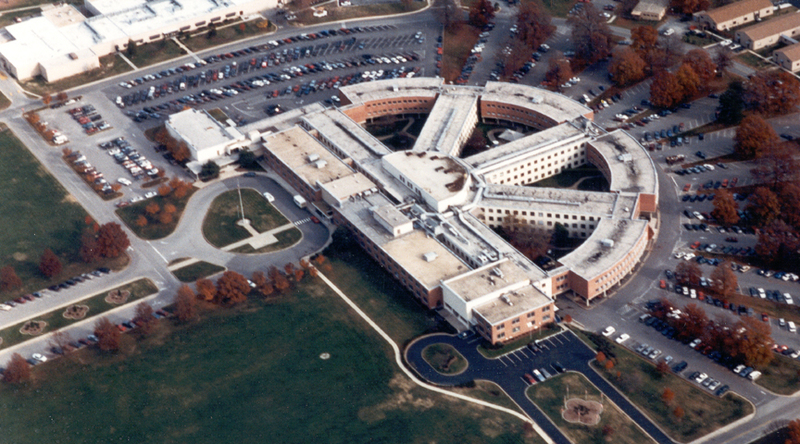 Strategic Air Command Headquarters was established at Bolling Field on 21 March 1946, moved to Andrews on 21 October 1946, and occupied the newly constructed building known as Building 1535. It didn’t seem to be unusual from ground level, but it was very impressive from above. Shortly after the Air Force became a separate service on 18 September 1947, the base's name was changed from Andrews Army Air Field to Andrews Air Force Base. The first permanently assigned jet aircraft, a P-80 Shooting Star, arrived in 1947. Strategic Air Command was only at Andrews for two years. In 1948 General Curtis LeMay became the Commander of SAC and had his headquarters moved to Offutt Air Force Base, Nebraska, because, he said, Offutt was more centrally located and there were already too many targets for enemy attack in the Washington, DC area. 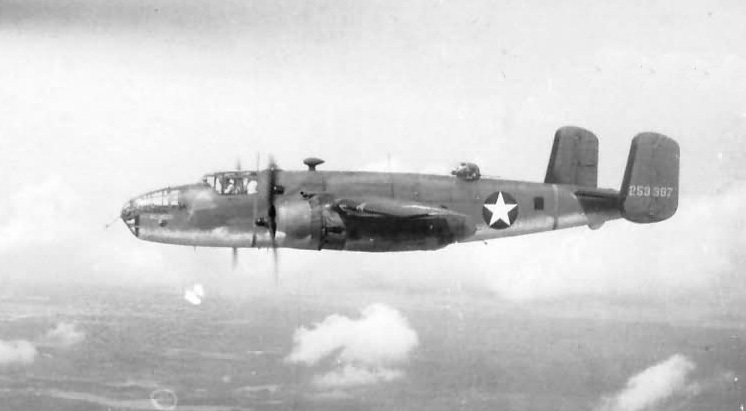 With the onset of the Korean War in June 1950, Andrews became involved in combat readiness training for B-25 medium bomber crews. Air Research and Development Command (ARDC) was established on 23 January 1950 in Baltimore. 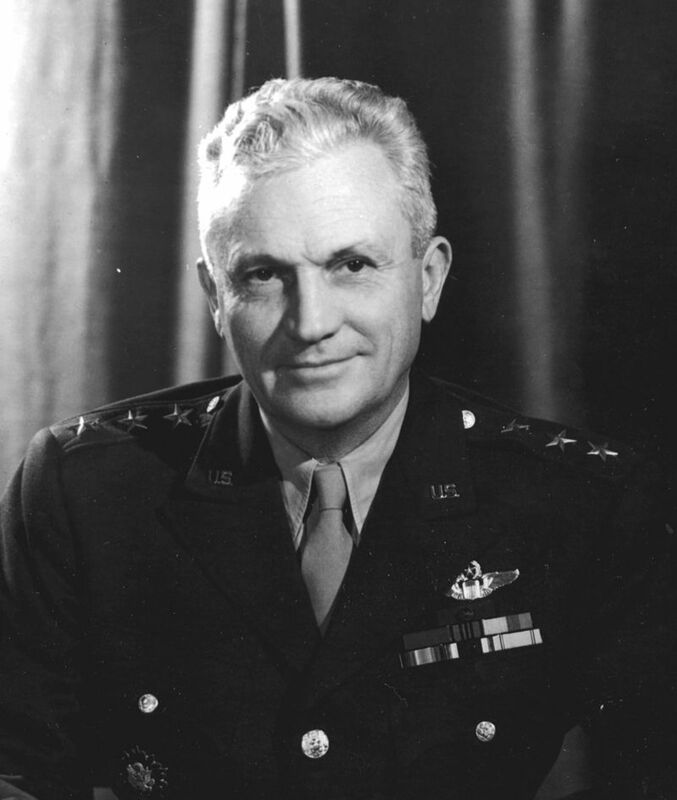 In 1954, as head of the Western Development Division, General Bernard A. Schriever was given responsibility for developing very long range ballistic missiles. His organization began work on the Atlas missile in 1955. Sputnik -- on 4 October 1957 the Soviet Union launched the first artificial earth-orbiting satellite. The announcement precipitated a crisis in the United States, because military and civilian leaders realized that a rocket capable of placing a payload in orbit could also be used as an intercontinental ballistic missile. ARDC was transferred to Andrews on 24 June 1958 and moved into Building 1535. 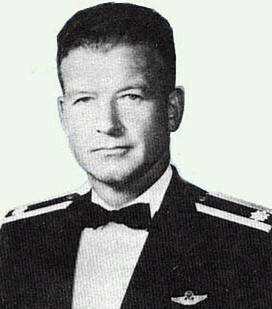 General Schriever became the Commander of ARDC in April 1959. He instituted a new approach to research and development called "Systems Management" in which all elements of a future system are addressed at the same time. The high priority given to missile development in response to the launch of Sputnik allowed him to gain some immunity for his organization from routine bureaucratic procurement regulations; together with Systems Management, this allowed for the development and procurement of missiles in what is probably still record time for large-scale U.S. military programs. Atlas went from drawing board to deployment in a little more than five years, Thor in three and a half years, and Minuteman in about four years. On 1 April 1961 ARDC was renamed Air Force Systems Command (AFSC) and assigned responsibility for all Air Force research, development and procurement of new systems and equipment – missiles, satellites, aircraft, electronics, ordnance. By 1963 AFSC had 27,000 military and 37,000 civilian employees in locations all over the country and was responsible for 40 percent of the Air Force budget. General Schriever retired on 31 August 1966 and continued to serve as a consultant. In June 1998, Falcon Air Force Base, Colorado, was renamed Schriever Air Force Base in his honor. It was the first base named for a living individual. General Schriever died on 20 June 2005, aged 94. Andrews is best known for its special air mission – the transportation of senior government and military leaders. President Harry S. Truman was the first to fly a presidential flight out of Andrews on 24 November 1946. The port of entry and departure for dignitaries was transferred from Washington National Airport to Andrews in 1959 after the completion of a 14 million dollar upgrade to the existing runway and the addition of a new parallel runway. President Eisenhower's official aircraft, a C-121 (Columbine III), remained at Washington National Airport. Andrews AFB started hosting an annual airshow and open house in the late 1950’s. This event has evolved into the Joint Service Open House with aerial and ground demonstrations that routinely draws about 500,000 visitors to the Base during the Armed Forces Day weekend. The U. S. Naval Air Facility, Washington, was established at Andrews on 19 January 1962 and the runway at Naval Air Station Anacostia was closed. The east side of Andrews is known as the Navy side. The runway at Bolling was also closed in 1962 and all flight operations were transferred to Andrews. 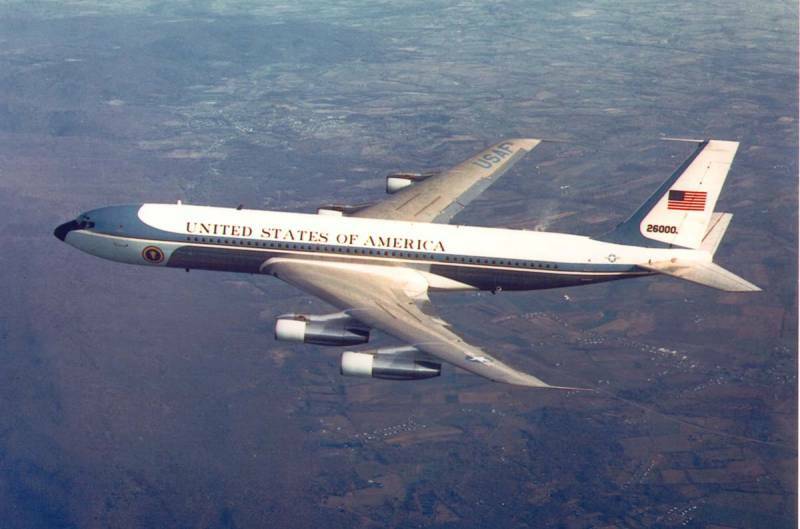 President John F. Kennedy's official aircraft, a C-118, was permanently transferred from Washington National Airport in March 1962, and Andrews officially became the "Home of Air Force One." 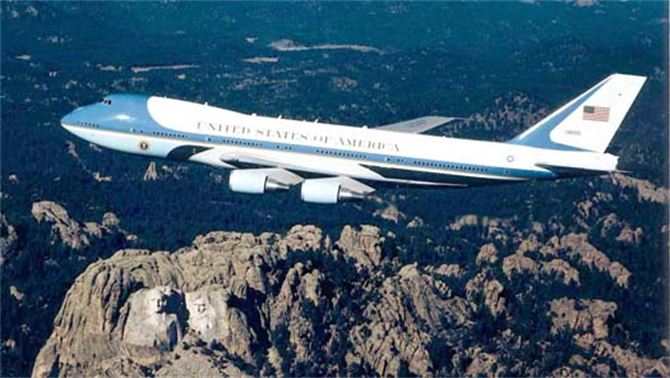 "Air Force One" is the radio call-sign of any Air Force aircraft while it is carrying the President. It was created to prevent the recurrence of a 1953 incident in which a commercial airliner (“Eastern 8610”) was directed by Air Traffic Control into the same airspace as President Eisenhower’s aircraft (“Air Force 8610”). The aircraft didn’t come close to each other, but the possibility was alarming. "Air Force Two" is any Air Force aircraft while it is carrying the Vice President. The same aircraft are used for other Special Air Missions at other times. The Andrews Base Hospital built in 1958 was renamed Malcolm Grow Medical Center in honor of Major General Malcolm Grow on 22 September 1962. General Grow was a distinguished flight surgeon in the Army Air Corps before and during World War II. While chief flight surgeon of the Army Air Corps from 1934 to 1939, he founded the Aero Medical Laboratory at Wright-Patterson Army Air Field near Dayton, Ohio. In July 1943, he received the Legion of Merit for developing body armor to protect combat crews. In May 1944, he was awarded the Distinguished Service Medal for developing a device to protect gunners from windblast, electrically heated clothing, gloves, boots, hand-warmers and casualty bags for wounded, wind and fire resistant face and neck protectors, and a special combat ration for use on long bombing missions. Frostbite cases decreased and flight efficiency increased. General Grow was appointed acting air surgeon for the Army Air Corps in 1945 and Air Surgeon in 1946. He served as the first Surgeon General of the Air Force from 1 July 1949 to 30 November 1949, retired from the Air Force on 1 December 1949, and died 20 October 1960 age 73. In October 1962 the Air Force purchased a VC-137 – a modified version of the Boeing 707 airliner – and gave it the call-sign Special Air Mission (SAM) 26000. On 22 November 1963 SAM 26000 carried President Kennedy to Dallas, Texas, where he was assassinated. Vice President Lyndon Johnson took the oath of office as President aboard SAM 26000 on the ground in Dallas. At President Johnson’s request, SAM 26000 carried Kennedy’s body back to Washington, DC. In January 1966, the 89th Airlift Wing was designated as the special mission airlift wing, replacing the 1254th Air Transport Wing, which had previously undertaken the task at Andrews from 1 October 1948 to 1966. On 15 April 1969 all military operations at Washington National Airport were transferred to Andrews. I was assigned to Headquarters Air Force Systems Command at Andrews Air Force Base when I returned from Vietnam in January 1971, and served there until I was assigned to the Office of the Secretary of Defense in the Pentagon in February 1975. My small part of this program was to write the environmental test requirements for GPS receivers, including shock, vibration, heat and cold, humidity, sand and dust. At that time, each GPS receiver consisted of three large boxes that just barely fit in the back of a Jeep. Over the years, I have watched with interest and amusement as GPS receivers have become smaller and smaller and smaller. SAM 26000 carried President Nixon on several overseas trips including his visit to the People’s Republic of China in February 1972 and his trip to the Soviet Union later that year, both firsts for an American President. In December 1972 SAM 26000 was replaced by another VC-137 with the call-sign SAM 27000 although SAM 26000 was kept as a backup until it was finally retired in 1998 and placed on display at the National Museum of the U. S. Air Force at Wright-Patterson AFB, Ohio. Signs of the times: on 17 March 1975 the Andrews Base Commander discontinued performances of the "Go-Go" girls who entertained the troops at the NCO Club. And on 18 February 1977 the Base Commander established the first non-smoking areas in the Base dining facilities. The 89th Airlift Wing was reduced in size in 1977 through transfer of many aircraft, but in addition to its primary mission of airlifting the President, Vice-President, cabinet members, other high U.S. government officials and foreign dignitaries, the wing continued to participate in humanitarian missions at home and abroad. The 89th Airlift Wing received two VC-25A aircraft (modified Boeing 747s) in 1990 and gave them the call-signs SAM 28000 and SAM 29000. The 89th Airlift Wing became the host wing of Andrews Air Force Base in July 1991. Air Force Systems Command was inactivated on 26 June 1992 after 31 years at Andrews. It was merged with Air Force Logistics Command to form the Air Material Command with headquarters at Wright-Patterson Air Force Base, Ohio. The last flight of SAM 27000 as Air Force One was on 29 August 2001 when it flew President George W. Bush from San Antonio to Waco, Texas. Following the flight, it was formally decommissioned and then flown to San Bernardino Airport (formerly Norton AFB) in California. It was dismantled and taken to the Ronald Reagan Presidential Library where it was reassembled and is on permanent display. On 11 September 2001, President George W. Bush was at an elementary school in Sarasota, Florida, when he was informed of the attack on the World Trade Center in New York City by two hijacked airliners. He departed Sarasota on Air Force One (SAM 29000) with Colonel Mark Tillman as the senior pilot, intending to return to Washington, DC, but air traffic controllers radioed that a passenger jet was close to Air Force One and not responding to their calls. Colonel Tillman flew Air Force One out over the Gulf of Mexico to see whether the other aircraft would follow. It didn’t, but they received messages that a third airliner had hit the Pentagon, a fourth airliner had crashed in Pennsylvania, and there were indications that the White House and Air Force One were also intended targets. At this point, the plan to fly back to Washington, DC was aborted and they went to Barksdale AFB, Louisiana, and then to Offutt AFB, Nebraska. The President convened the National Security Council (NSC) by teleconference from the U.S. Strategic Command bunker at Offutt. Later that afternoon, when the NSC decided the situation was stabilized, he went back to Washington, DC on Air Force One, and that night he spoke to the entire country on TV from the White House. In June 2006, the 316th Wing was established as the new host unit for Andrews Air Force Base with its nearly 50 tenant units including organizations from the Air Force Reserve, Air National Guard, Civil Air Patrol, and the United States Navy. Some of the tenant units have their own aircraft, so many different kinds of aircraft operate from Andrews including fighters and helicopters. The reception of Pope Benedict XVI by President George W. Bush on 15 April 2008 was the first time a U.S. President traveled to Andrews to meet a head of state since 1959 when President Eisenhower greeted Soviet Premier Nikita Khrushchev. Premier Khrushchev was the first foreign head of state to fly into Andrews. On 1 October 2009 Andrews Air Force Base was renamed "Joint Base Andrews Navy Air Facility Washington" which is routinely shortened to "Joint Base Andrews." In October 2010 the 11th Wing was transferred to Andrews from Bolling Air Force Base as the new host unit for about 60 tenant organizations. A new building was being constructed in front of Building 1535 to house the Base headquarters. 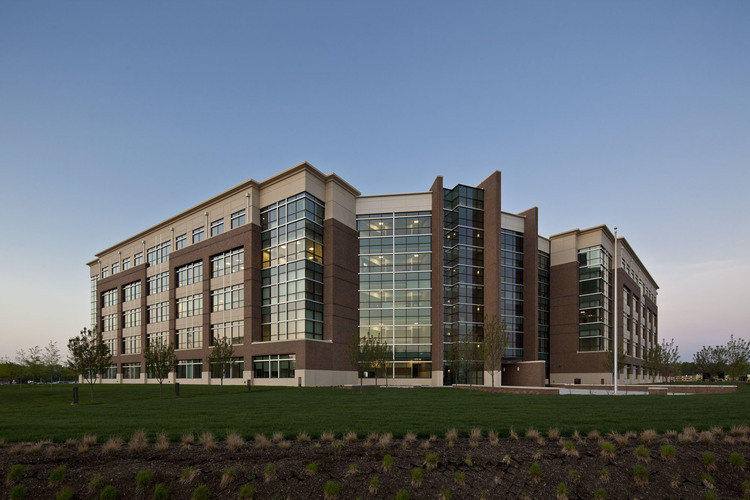 On 22 March 2011, the new Base headquarters building was dedicated to a recipient of the Congressional Medal of Honor, Col. William Atkinson Jones III. 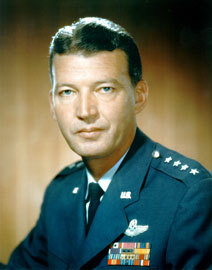 Bill Jones joined the Air Force after graduating from West Point in 1945. I knew him when he was a B-47 Aircraft Commander at Pease AFB, NH, in 1960-1965. In 1968 he was a Lieutenant Colonel with the 602nd Special Operations Squadron at Nakhon Phanom Royal Thai Air Force Base, Thailand. On 1 September 1968 he led a flight of four A-1E Skyraider aircraft and two helicopters on a mission to rescue the pilot of an F-4 Phantom downed in North Vietnam. Arriving over the area, he made several low passes across a valley to find the pilot and pinpoint enemy gun positions. 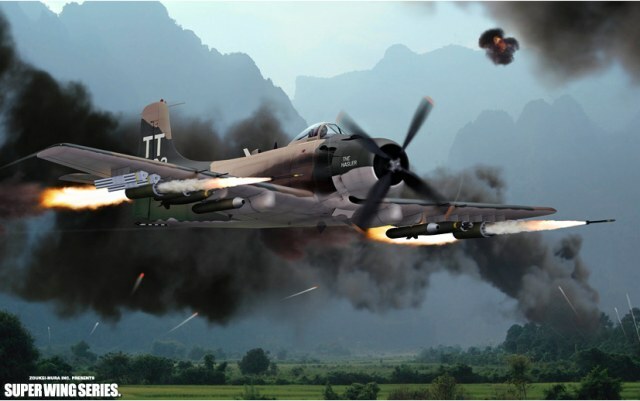 On one pass, he felt an explosion beneath his aircraft and his cockpit filled with smoke. After the smoke cleared, he continued his search and finally spotted the downed pilot near a towering rock formation. Enemy gunners near the top of the formation opened fire on his aircraft. Jones realized the gun position had to be silenced before the helicopters could rescue the downed pilot. He attacked the gun position with cannon and rocket fire. On his second pass, his aircraft was hit and set on fire. Flames swept back from the engine into the cockpit. He tried to eject, but the damaged ejection system only jettisoned the canopy. He was badly burned and his radio transmitters were disabled. He chose to return to his base in Thailand to report the pilot’s exact location. Despite his severe burns, he managed to fly his aircraft in a forward slip (one wing down with opposite rudder) so the flames from the engine blew back alongside the fuselage instead of into the cockpit. After flying that way for more than half an hour, he landed his damaged aircraft safely and insisted on passing along the vital information before receiving medical treatment. The downed pilot was rescued later that day. Jones survived his wounds, was promoted to full Colonel and assigned to Andrews Air Force Base, but died the next year (15 November 1969) in an aircraft accident near Woodbridge, Virginia. His Medal of Honor was presented to his widow by President Richard Nixon on 6 August 1970 in a ceremony at the White House. 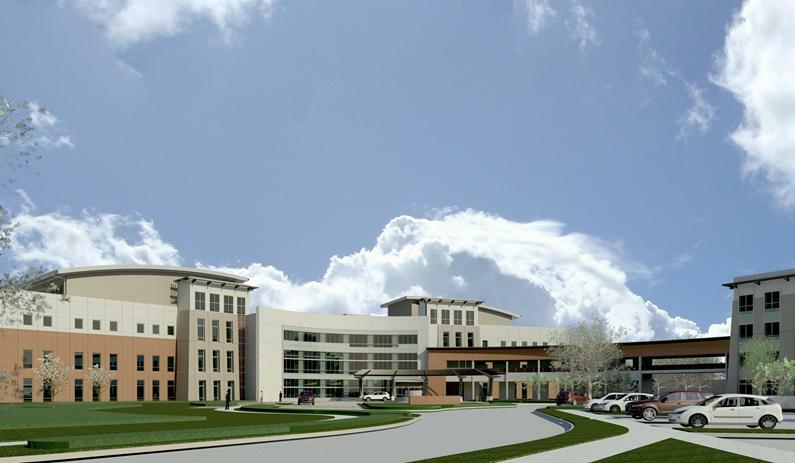 In 2011 the Malcolm Grow Medical Center, originally built in 1958 as a 313-bed full service hospital, was downgraded to a set of clinics focused on ambulatory care, diagnostic, surgical and therapeutic services. 22 May 2013 was the groundbreaking for the new Malcolm Grow Medical Clinics and Surgery Center facility next to the existing Malcolm Grow Medical Clinic. It is designed to consolidate medical support departments from several buildings around the Base, and includes a four-story parking garage. The first phase of construction was completed on 4 December 2015 and clinics began moving into it on 19 February 2016. It is scheduled for completion in August 2017. And so, technically, Andrews Air Force Base no longer exists, but the Air Force continues to operate Joint Base Andrews. 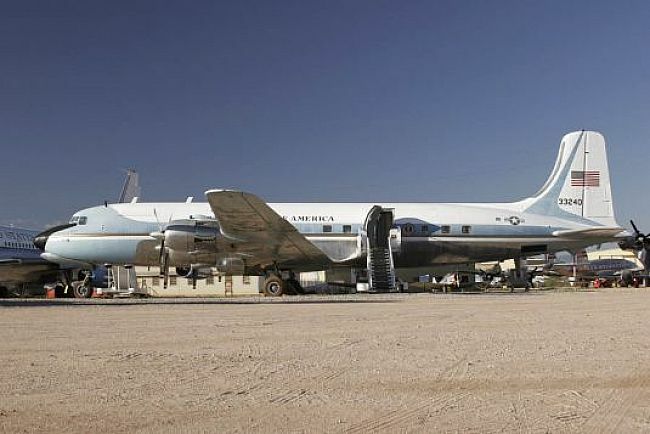 The Officers’ Club and Building 1535 (Systems Command Headquarters) are gone, and the original Malcolm Grow Hospital is scheduled for demolition, but the 89th Airlift Wing continues to provide executive airlift for VIPs and is still the home of Air Force One.